Meebo Password Decryptor helps in recovering all these messenger account passwords previously stored by Meebo Notifier. 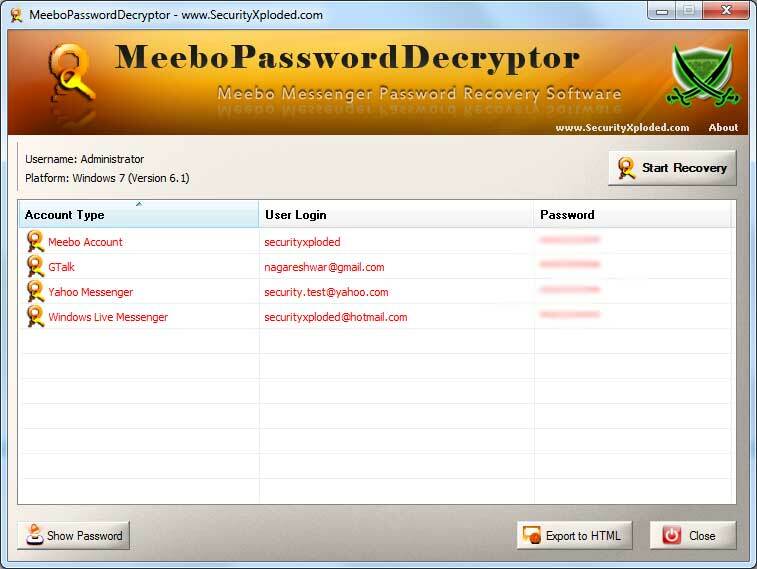 "Exposing the Password Secrets of Meebo"
Meebo Password Decryptor works on most of the Windows platforms starting from Windows XP to latest operating system, Windows 10. Instantly recover all the stored messenger account passwords by Meebo Notifier. Sort feature to arrange the recovered passwords in various order to make it easier to search through 100's of entries. Next click on 'Start Recovery' button and all stored account passwords by Meebo Notifier will be recovered & displayed as shown in screenshot 1 below. 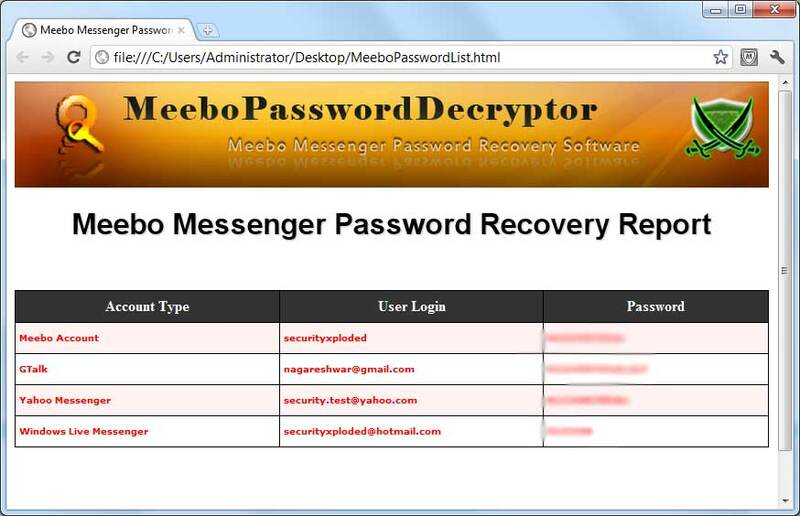 Screenshot 1:MeeboPasswordDecryptor is showing the recovered account passwords from Meebo Notifier. 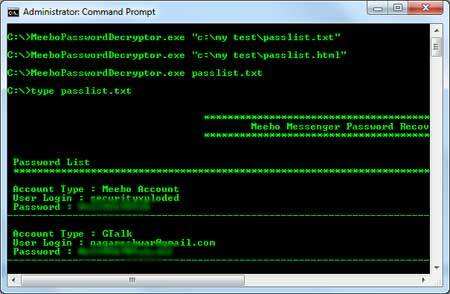 Screenshot 2: Command line usage of MeeboPasswordDecryptor showing various examples. Screenshot 3: Exported list of of recovered Meebo account passwords by MeeboPasswordDecryptor in HTML format. Major 2017 edition with support for recovering passwords from Meebo Messenger on Windows 10. Also includes new Installer. 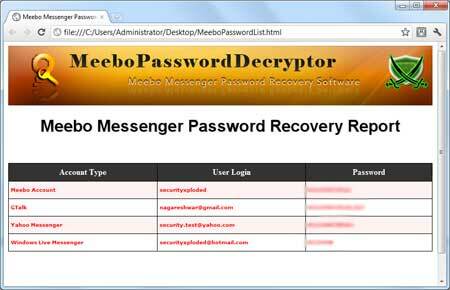 Meebo Password Decryptor is not a hacking or cracking tool as it can recover only your stored passwords. It cannot recover the passwords for other users unless you have right credentials.